Alcatel Onetouch, a company known for making low cost smartphones, has launched four new budget handsets that will be sold by Amazon. 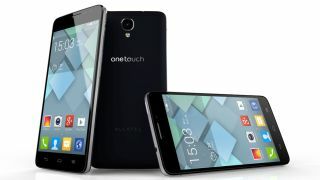 The first is the Alcatel Onetouch Idol Alpha, a 4.7-inch smartphone with a 1.2GHz quad-core processor, 13.1MP rear camera, 1.3MP front snapper and a 2000mAh battery wrapped up in a 7.5mm body. The Idol Alpha's design includes translucent edges that change colour depending on what task the smartphone is performing and it carries a price tag of £285. The second is arguably the most interesting with the Alcatel Onetouch Idol X+ sporting a 5-inch 1080p screen, 2GHz octa-core processor, 13.1MP camera and a 2500mAh battery. Those are pretty decent specs inside its 8.1mm thick body, and at just £259.99 it sounds like a bit of a steal on paper. The other two handsets are less interesting, with the Alcatel Onetouch Idol 2S featuring a 4.7-inch HD display, 4G connectivity, quad-core processor, Android 4.3 Jelly Bean, 8MP rear camera and 1.3MP front camera for £209.99. Meanwhile the Alcatel Onetouch Pop C3 is a 3.5-inch smartphone with a 1.3GHz dual-core chip, very old Android 4.2 Jelly Bean OS, 3MP rear camera, VGA front snapper and 1300mAh battery for the weirdly specific price of £63.86. Find out our thoughts on the Alcatel Idol X.